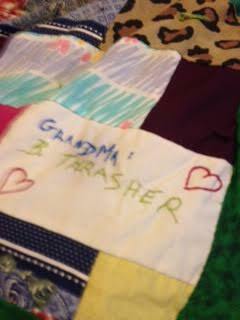 All of these quilts is made from home, a few of them I inherited made by Madge Parker, and a few of them I actually hand sewed, with a typical thread and needle. All stitches is sewed with Love. 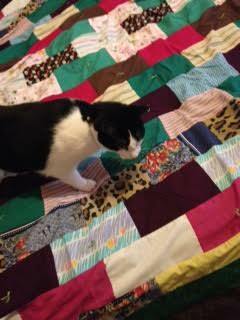 I have a new quilt, created by my own patterns Ideas, I will show you as well. 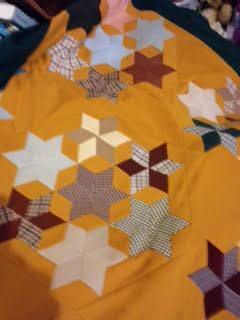 I find sewing by hand, very relaxing. (this embroidery stitches is created by me; the author, Deb Villines, this back and side edges took me about one or two years, give or take days and weeks, as I ran out of green thread at times.) I did this one for a friend from work. 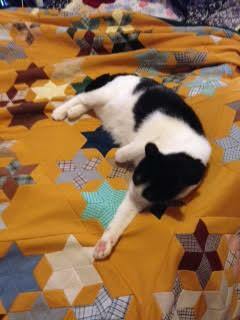 Her grandma Ruth made this quilt from pajamas, and bed sheets, each stitch hand made.) As always, with lots of Love and Light, flowing through the pages of this blog.) 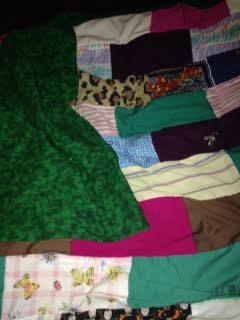 There will be more photos added soon, of home made quilts, from Iowa.